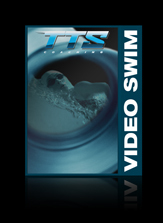 All TTS coaches are private swim instructors and have a passion for teaching Triathletes how to swim better. Your coach will help you prioritize the skills needed to master swim efficiency. You'll leave your lesson with 3-4 key elements that need improvement and the drills or focus points required for mastery. Location & Times: Los Angeles pool locations vary. Your coach will be notified after your purchase of the swim session and you will be contacted to schedule a time. We will also come to your pool! Once you complete your order, you will be contacted by a TTS Coach within 24 hours to schedule your appointment.